COPE Local 343 Member Survey Report Now Available! 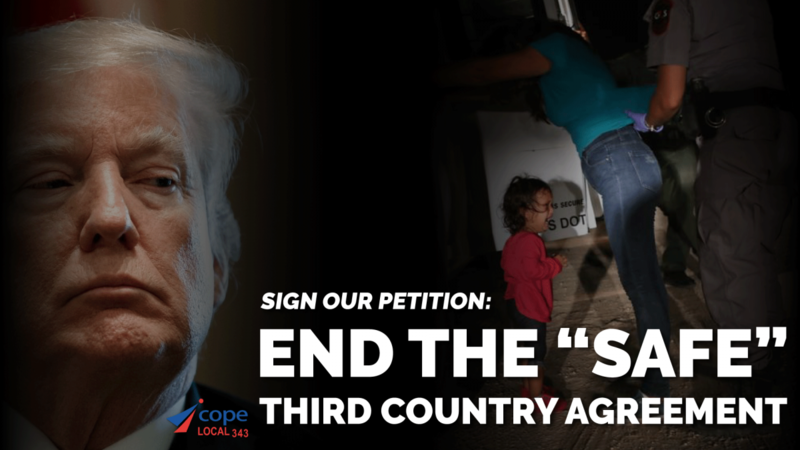 Sign the Petition: Suspend the Safe Third Country Agreement with the U.S. Thanks to everyone who registered! Further details will be sent to you in the coming weeks! It’s here again – COPE Local 343’s AGM!!! Thanks to everyone who registered! Individual packages will be sent to you in the coming weeks! Join us for COPE Local 343’s first ever Political Action Conference!!! Young Workers are encouraged to attend the Young Workers Forum on January 19 and then stay for the Political Action Conference. Join us for COPE Local 343’s annual Young Workers Forum! Young Workers are encouraged to attend the Young Workers Forum on January 19 and then stay for the Political Action Conference.